Kishan Kumarsingh, Head of the Multilateral Environmental Agreements Unit at the Ministry of Planning and Development has warned that if TT could become the world’s dumping ground for old diesel and gas engines if it does not move swiftly to use more environmentally friendly vehicles. If Trinidad and Tobago does not make larger strides to use more environmentally friendly vehicles, in a few decades it could become the world's dumping ground for old diesel and gas engines. 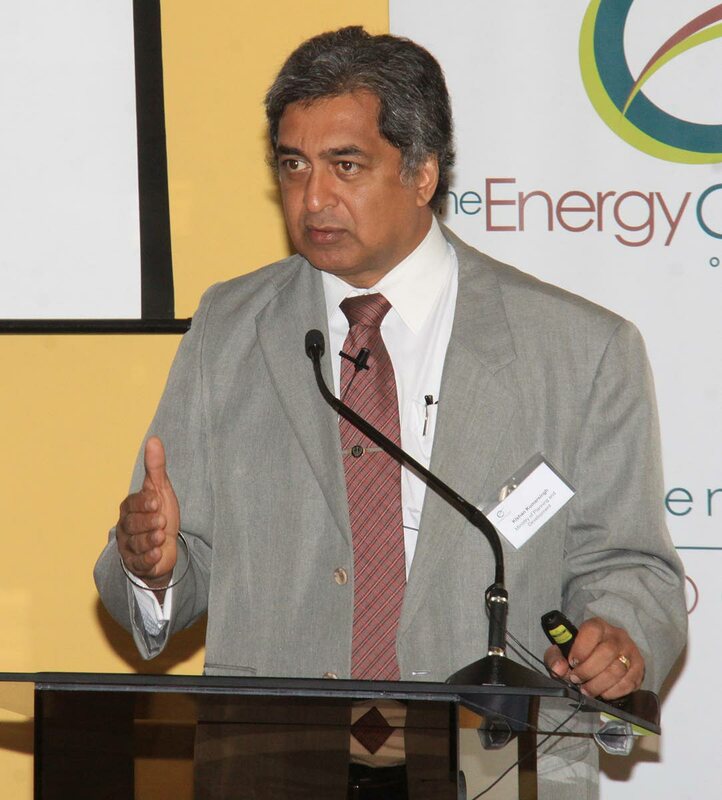 Kishan Kumarsingh, Head of the Multilateral Environmental Agreements Unit at the Ministry of Planning and Development, noted that in February 2018, when it ratified the Paris Agreement, TT committed itself to reduce its cumulative greenhouse gas emissions in the transport, power generation, and industrial sectors by 15 per cent by 2030. He noted that many countries are slowly replacing or had signalled their intention to replace fossil-fueled engines with electric vehicles. He said it means that in about 50 years the internal combustion engine would be a relic, replaced by electric engines with charging done by renewable energy. That means there will be absolutely no emissions from the power generation to charge the batteries, nor from the operation of the vehicles. In addition to fuel switching, the Government aims to increase energy efficiency, and the use of renewable energy to ten per cent by 2021 as part of its implementation plan to reduce greenhouse gas emissions. In the power generation sector, Kumarsingh said there needs to be a two-pronged approach. Firstly, he said, the cheap cost of energy encourages people to wastage. People leave lights, air-condition units and other devices on when not in use because the resulting electricity bill would be relatively small. Secondly, he explained, because of the way electricity is generated in TT, there is always excess power on the national grid. Therefore, even if users increase efficiency or turn off all electricity-using machines, the emissions rising from the grid would have already gone into the atmosphere. Instead, the country would have to use technology to create power according to demand. When it comes to the industrial sector, he said there are two components in its greenhouse gas profile – energy use and industrial processes. He said the plants can benefit from greater energy efficiency as well as renewable energy sources. Also, although production is usually a fixed process and there would be emissions, technology is available to either reduce those emissions or collect them to be used elsewhere. Kishan Kumarsingh, Head of the Multilateral Environmental Agreements Unit at the Ministry of Planning and Development has warned that if TT could become the world's dumping ground for old diesel and gas engines if it does not move swiftly to use more environmentally friendly vehicles. Kumarsingh said another part of the Paris Agreement was for countries to work towards transitioning to a low-carbon economy which would provide opportunities to have economic growth without the associated increase in emissions. To allow for this “green growth,” he said an enabling environment would have to be created through policy and legislative changes. He noted that TT’s economy is dependent on fossil fuel, a finite resource, but green growth would create jobs in green technology in the areas of manufacturing, renewable energy and its supporting technology, systems and development, service companies, and other areas. He said all of it is important because there is still a huge gap between the collective NDCs (Nationally Determined Contribution – the reduction in cumulative emissions reductions pledged) of all countries, and what is necessary to limit the global temperature increase for the century to 1.5 degrees. More has to be done urgently. “The Paris Agreement has built in an element of ambition which means parties would be required to submit NDCs at regular intervals, and each successive NDC must be an improvement on the previous one. Kumarsingh noted that transport, power generation, and industrial sectors are not the only sectors that emit greenhouse gases. Deforestation, organic waste, use of chemicals with ozone-depleting substances, plastics and other materials made from petroleum such as styrofoam are also noteworthy. While there may not necessarily be a link to greenhouse gas emissions at first glance, waste minimisation is key. Practising more sustainable levels of consumption would create a domino effect that would assist. Reply to "Dump for old engines"